Inconsolable, Fun, Difficult, Intimate, Hot. So, September. We did a few gigs. Here’s a run down. Friday 5th – Molloys, Bury. We’ve played at Molloys about half a dozen times now and it all comes down to one thing – chicken tikka kebabs on the journey home. The gig is fairly predictable inasmuch as the pub almost always fills to capacity and everyone gets drinking and dancing. 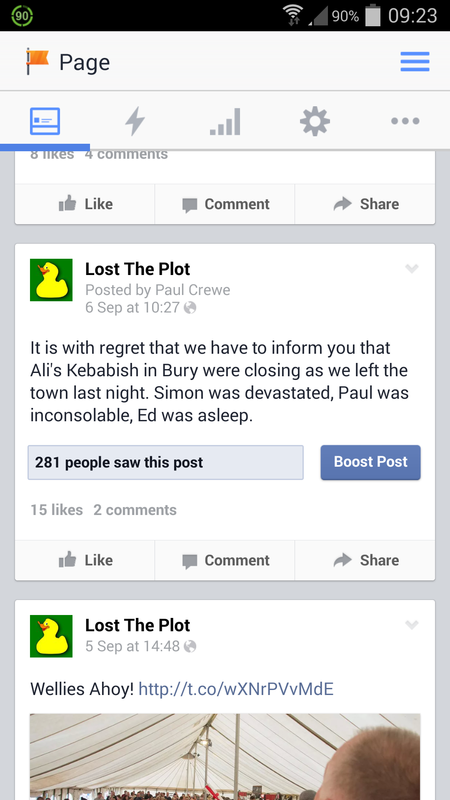 How well the journey is rated by us all comes down to whether Ali’s Kebabish is open. Despite some excellent chicken tikka kebabs elsewhere, we have yet to discover anything as good as theirs. The shop looks like the sort of place you shouldn’t enter unless extremely drunk and hungry, but was our only option after an early Bury visit and we discovered that the old maxim of not judging books was true. We’re back on November 7, so we’ll try again. Still, the next day we were heading to Bayston Hill for a return to The Beeches. We had a great time on our first visit in January and this was no different. A great crowd (including Hilary Doyle and her husband) made it a great evening and we returned home far happier than we had the previous night. Friday 12th – Private Function. You know you must be doing something right when people try to book you for a birthday party and end up delaying the party by 2-3 months so they can ensure you’re the entertainment. This was a 40th in Shrewsbury in a hall that none of us knew existed. Morris Hall is accessed through an easily missed gateway next to a flower shop in Bellstone, along a path, up a stone staircase and through the hall. The get in wasn’t fun, but what a beautiful building. Don’t ask us to play there again. Ever. The beauty of the building doesn’t offset the fact that two of us had asthma attacks carrying the gear in and the other had a small coronary. Friday 19 September – The Barley. We love a nice intimate gig. A small pub with 15 or 20 people where we can get right in their faces and get them involved is manna from Heaven for us. 10 people (6 of whom are family) in a pub the size of a small town, however, isn’t fun. 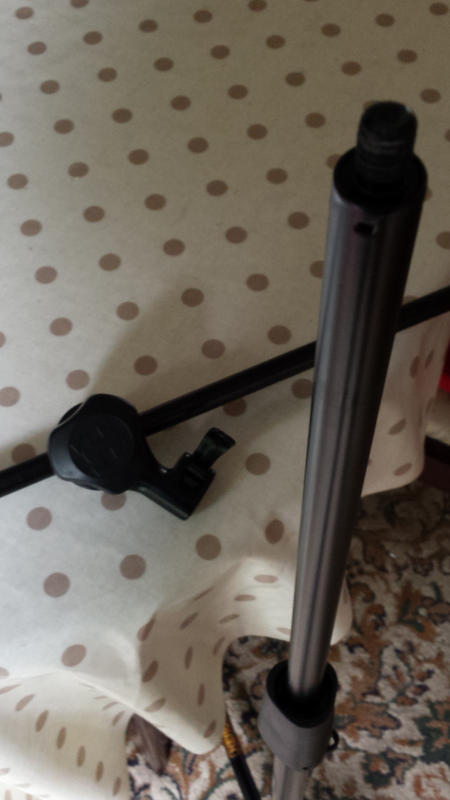 Taking away the positives from the gig, Ed used his new mic stand for the first time. His old one is struggling to do the ‘stand’ part of the name these days, so he invested in a smart new one with a quick release clip. We have no idea why you’d want to quickly release that particular part of the stand, but if we should ever need to, by golly it’ll be apart in a fraction of a second. The difference between this gig and the next night were like the difference between night and day. We love The Malthouse in Ironbridge (this is our official band view). We’ve not had a duff gig here and this was fantastic. The pub was full to bursting with people up for dancing, singing and throwing ducks. Friends and work colleagues came along and so did some temperature. Discussing the gig afterwards, we agreed that we couldn’t ever recall playing such a hot gig. Our clothes were as wet as if we’d been doused in a bucket of water. It was that bad, that Paul even changed into a dry shirt afterwards – a rare occurrence. Very nice if slightly unorthodox gig coming up this Sunday …. Salt village hall staffordshire …full 2 coarse roast lunch then an afternoon set by the unlawful men. Its virtually sold out already but the organisers tell they could manage one more table max of 6 people if there is any one who loves folk music and hates cooking ! Proceeds from the event are going to fund vaccination supplies to africa.